This book written by David Rock, an executive coach and author with decades of coaching experience behind him, applies the latest in neuro-psychological research to communication in the business context. It presents a model of communication rooted in positive psychology. The model aims to get the subject motivated to perform by helping him 'Think' rather than guiding him with the specifics. Assuming the author has interpreted the research on which it is based correctly, the technique presented in the book could be very useful. Not only in the business context, but in all conversations that you have - even with your friends, family and children. The book is very easy to read, and the concepts are explained very well. There are exercises at apt places to help the reader actually apply the learnings to real life. 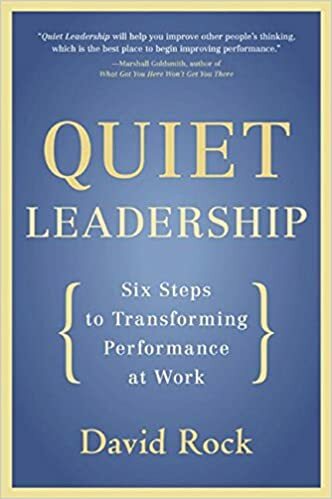 The book is a must read for those who are in or expect to be in any kind of leadership role.